Casino Cheating Apps for Sale near Macau! Unfortunately for casinos this is true. And it has been going on for a few years now--right in the open! 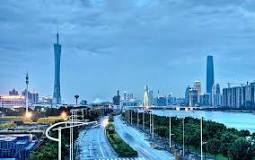 Just one hour away from Macau is Guangzhou, a Chinese city long known as being a hub for high-tech electronic products. But now it has become known as a place where both amateurs and professional casino cheats can buy the latest electronic equipment that has a special app--cheating casinos. And they're sold right out in the open, operating like your normal retail electronics outlet. Just walk in and tell the salespeople what your casino-cheating specialty is and they will supply you with the latest in tiny video cameras, computer analyzers for reading invisibly marked cards through cell phone cameras, advanced marking cards systems, optical character recognition technology, and just about anything else that exists out there for electronically and digitally cheating casinos. Of course this should be of no surprise coming from China, but what is so surprising about it is the lack of effort by Asian casino authorities to get some control over it. The situation kind of reminds me of the old European Needle Parks where heroine was sold out in the open to addicts. But remember one thing, which is why you really should not get involved in buying or using any of this high-tech cheating stuff: if you get caught inside a casino with it, you will have a serious problem!